From vibrant cities to majestic landscapes, South America is packed with treasures – and here are ten ways to discover them. Vast, vivid and never less than exotic, South America fires our imagination in many different ways. From the soaring peaks and gigantic glaciers of Chile to the endless jungle-choked channels of the Amazon, and from the glamorous beaches of Brazil to the vibrant nightlife of Argentina, there are unforgettable experiences everywhere. If you’re keen to explore, there is a cruise to suit almost every taste and pocket. You could take a leisurely circumnavigation, join a voyage that also includes Caribbean isles, sail deep inland on the world’s biggest river or investigate the icy wonderland of Antarctica. Wherever you go, our winter sees the South American weather at its best – so here are ten ideas to inspire you. Plenty of time to spare? The prospect of spending more than two months on a circumnavigation of South America is very tempting, especially as you don’t even need to fly. Early next January, P&O’s Aurora sets out from Southampton on a 65-night adventure. 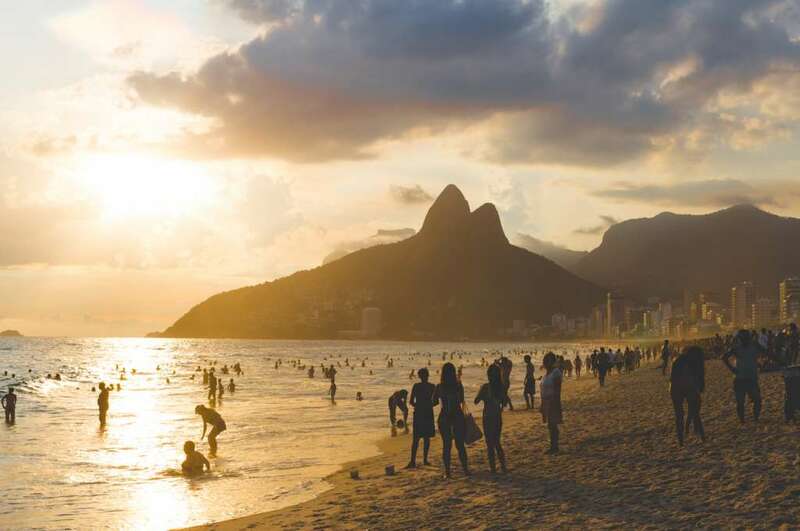 After a transatlantic crossing via Madeira and the Cape Verde islands, you’ll arrive in Brazil – visiting Rio of course – then turn south to Uruguay and Argentina. Heading out to sea, there’s a call at the Falkland Islands before rounding the remote southern tip of the continent and heading back up the Pacific coast. Chilean glaciers and fjords and Peruvian cities are on the menu before transiting the Panama Canal. And as if that weren’t enough, there are no fewer than eight Caribbean islands on your route before sailing back to Southampton via the Azores. On sea days the handsome 1,800-passenger Aurora has a full programme of entertainment, including chances to dress up for glitzy formal evenings. But you’ll be pleased to hear that the price is down-to-earth. 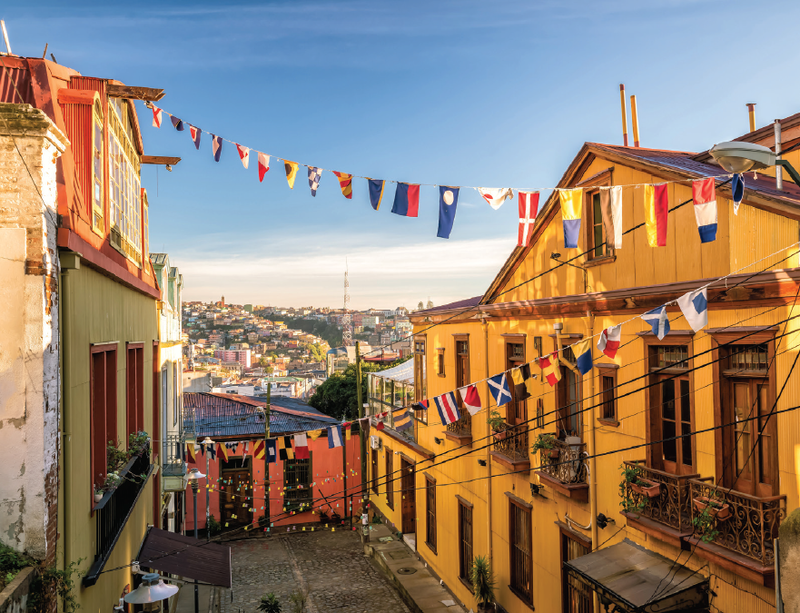 The classic South America cruise is from Valparaiso in Chile to Buenos Aires in Argentina, rounding the bottom of the continent. Several cruise lines make this voyage (sometimes in reverse), and a few make a detour to the Antarctic too. Of the latter, Holland America’s 22-night itinerary is especially appealing as you get to spend three days in the White Continent. Although you won’t be able to venture ashore, you will still be mesmerised by icy vistas and fascinated by the antics of the local penguins. The cruise embraces the Christmas holiday, though on Christmas Day itself you’ll be making the often rough Drake Passage crossing, while on New Year’s Eve you’ll have just departed Stanley in the Falklands. HAL’s mid-sized ship Zaandam also lingers in the pristine environment of the Chilean fjords and glaciers, but either side of your chilly experience at the end of the Earth there is plenty of warmth in the cities and towns along both the Pacific and Atlantic coasts – as well as the chance to discover secrets such as Isla Chiloe’s stilt houses. You know it’s mighty, but did you realise the Amazon carries one fifth of all the river water on the planet? This sheer size means that even quite large ships can penetrate deep into South America along its route. A smaller ship, however, offers a more intimate experience, and Silversea’s 17-night itinerary later this year promises to be unforgettable. Conveniently starting and finishing in Barbados, the all-suite, 382-passenger Whisper heads south to the little Caribbean paradise of Bequia, then on to Grenada and the haunting former penal colony of Îles de Salut off the coast of French Guiana. Sailing down to Brazil and turning into the Amazon, Whisper calls at several riverside ports before arriving at Manaus for a two-night stay to explore this city and its surrounding jungle. Locally sourced dishes in the ship’s restaurants will keep those precious memories alive as you make your way back to Barbados via Tobago. Carnival time in Rio de Janeiro is like nothing else on earth. It’s also a time when the city’s hotel prices rocket, so to have your own floating accommodation nearby is a major advantage. You’ll need to find 47 days to join Fred Olsen’s voyage, though naturally this includes much more than Rio’s vibrant street parades, extravagant costumes and wild parties. On a round trip from Southampton aboard Balmoral, your three nights in Rio are supplemented by several more unusual destinations. 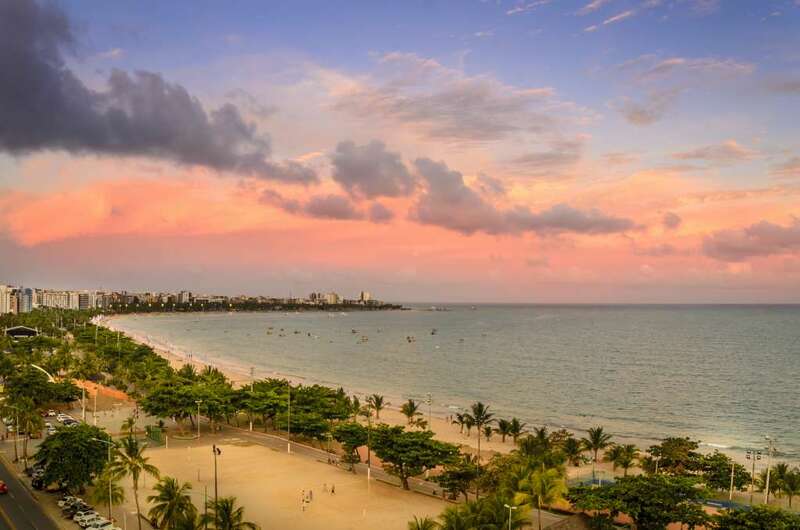 There’s Salvador, for example – a Brazilian city with a distinctly African influence – plus the extensive reefs and powder sands of Maceió, and Uruguay’s charismatic seaside resort of Punta del Este. 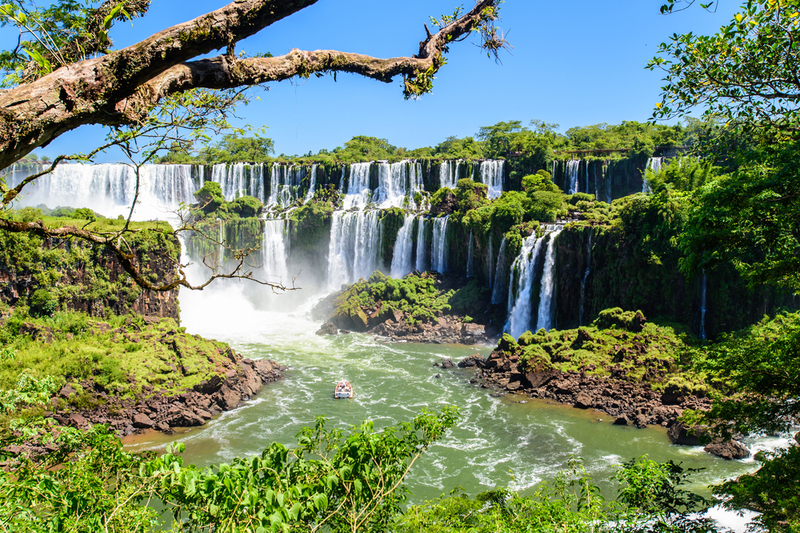 An overnight in Buenos Aires also allows an optional tour to Iguazu Falls on Brazil’s border with Argentina. On her journeys across the Atlantic, the 1,350-passenger Balmoral – which has a homely Scottish theme – drops in at the Canary and Cape Verde islands. Viking is a line that tends to chart its own course rather than following traditional routes, and a 10-night journey next February includes a rare call at Venezuela. 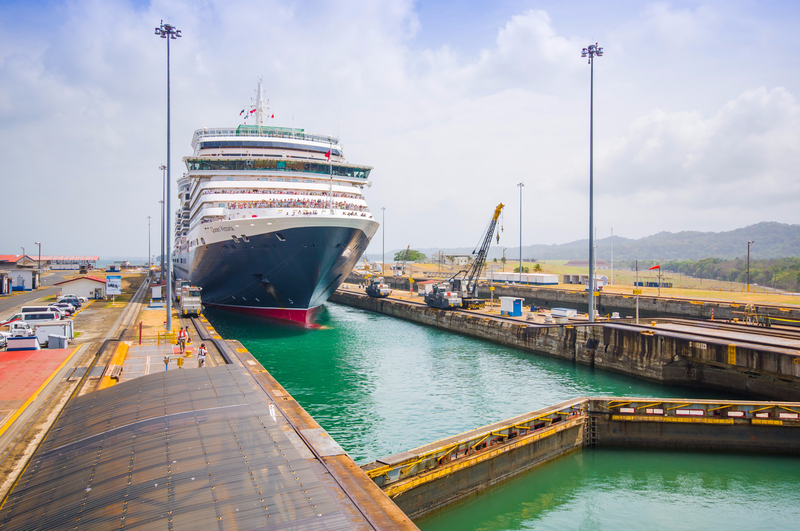 A round trip from Puerto Rico aboard one of Viking’s two new ocean ships, the first stop on the itinerary is Santo Domingo in the Dominican Republic – founded by Christopher Columbus’s brother Bartholomew in 1496. Heading to the coast of South America, the 930-passenger Viking Sea – a floating haven of chic Scandinavian design – calls at Cartagena and Santa Marta in Colombia, which are both packed with splendid colonial architecture. Not far from Santa Marta is a wildlife park where you can see monkeys, iguanas and even jaguars. Next on your agenda are two lesser-known Caribbean islands, Aruba and Curacao – the latter notable for its pretty Dutch colonial architecture and extensive coral reefs. Your last stop before returning to Puerto Rico is La Guaira, close to the Venezuelan capital Caracas. There’s much to see in this sprawling city, such as the new mausoleum of the country’s liberation hero Simón Bolívar, but look out for trips into the wild countryside too. For a shorter South American experience, perhaps combined with a few days’ sightseeing in the Argentine capital, MSC offers a great-value nine-night cruise. The itinerary starts and finishes in Buenos Aires but its main purpose is to explore the most alluring parts of Brazil’s coast. You’ll call at Rio de Janeiro – naturally – but also at several idyllic islands nearby. The first is Ilhabela – “Beautiful Island” – where volcanic mountains fringed by rainforest slope down to glorious beaches. Jungle trips will reveal waterfalls and a fabulous diversity of birdlife, including toucans. After that, you’ll visit Ilha Grande, a former pirates’ hideaway whose tropical beaches are now a magnet for visitors. MSC’s Poesia – which boasts no fewer than three pools, a Zen garden and giant cinema screen – also makes calls at Uruguay’s upscale Punta del Este resort and Brazil’s Cabo Frio, where transparent turquoise waters lap at the city’s edge. From the Thames to the Amazon – that’s what is on offer from Cruise & Maritime Voyages when Magellan makes a round trip from Tilbury to Manaus, almost 1,000 miles up South America’s great waterway. Offering a very British atmosphere on board, the 1,250-passenger Magellan sets sail next January for 42 nights, also calling at the Azores, the Cape Verde islands and a clutch of Caribbean isles. Sailing the Amazon there are chances to witness the “meeting of the waters”, where different-coloured flows from two branches converge and run alongside each other without mixing. You will also witness the Boi Bumba in Parintins – a boisterous performance of folklore, music and dance – plus there may be a chance to fish for piranhas. At a highly attractive price, this is an exhilarating way to escape the chills of a British winter. If you can wait until March 2019 for your South American adventure, you could join Hurtigruten’s new expedition ship for an in-depth journey from Chile to Costa Rica. Due for launch in summer 2018, the super-sleek MS Roald Amundsen will take 530 guests from Valparaiso on Chile’s coast on a thrilling 15-night voyage north. The opportunities along the route are fascinating. There’s a chance to see the stars in Chile’s famously clear skies from an observatory, and to explore glistening lakes and snowy volcanoes. Crossing into Peru, some may choose an optional flight over the Nazca Lines, the strange and ancient etchings on the Earth’s surface that depict real and imaginary beasts. Historic cities with colonial architecture – plus the chance to buy a real Panama hat at Montecristo in Ecuador – break the journey to Isla Coiba. This virtually uninhabited island is a remarkable biosphere, making it a must for keen walkers and photographers. Next, you’ll call at Golfito on Costa Rica’s Pacific coast – a gateway to exceptional national parks – before disembarking in Puntarenas. South America may be exotic but you’ll feel right at home on Cunard’s Queen Victoria, with its traditional afternoon tea and ballroom dancing. A 19-night segment of the ship’s world voyage starts in Rio (Cunard can arrange a pre-cruise hotel stay) before gliding round Cape Horn to Chile. Highlights include an overnight in Buenos Aires and a stop at Puerto Madryn, settled by Welsh emigrants in 1880. Rounding Cape Horn, there’s time for a few days’ meandering around the fjords and isles at the tail end of this continent, viewing the vast frozen wall of the Pio X glacier among other spectacles. A thoughtful excursions list includes nature treks, train rides, Jeep safaris and ranch visiting. And moving up the Pacific coast, Puerto Montt offers access to Chile’s lake district before the voyage concludes in Valparaiso. If time and funds allow, you can stay on board Victoria for another 16 nights, continuing up the coast via Peru and Ecuador and transiting the Panama Canal before finishing up in Florida. If you want to visit somewhere that’s not only amazing but will give you bragging rights over other cruisers for years to come, the remote, scattered islands of the far south of Chile and Argentina could be the place to go. However, if you want to explore this remarkable region in the detail it deserves, you’ll need to board a small ship. Noble Caledonia’s 18-night voyage delves deep into this territory – its 114-passenger Hebridean Sky is small enough to penetrate the narrowest channels, despite the all-suite luxury accommodation on offer. The expedition starts with a two-night hotel stay in Buenos Aires, then a flight to the world’s southernmost city, Ushuaia. Over the next few days there are forays into the wilderness with the team of naturalists who travel on board. 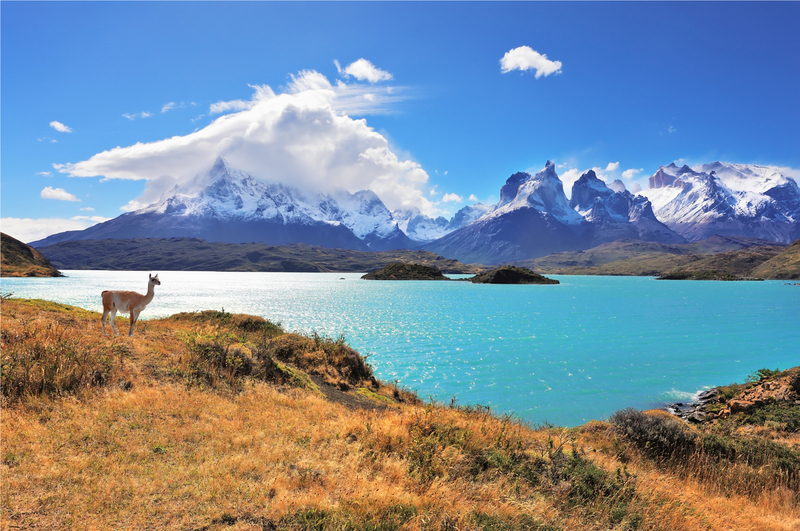 These include a visit to the breathtaking Torres del Paine national park, and close-up wildlife viewing using the ship’s fleet of go-anywhere Zodiac craft. Have your camera ready for the sea lions and huge flocks of Magellan penguins. Heading north, there are calls at the island of Chiloe and the riverside town of Valdivia before the trip concludes in Valparaiso.